Hello my beauties & Happy "Almost End of the Week"!! In my previous post, I promised you update you at least twice a week, so today's edition is my second installment, this time focusing on makeup. 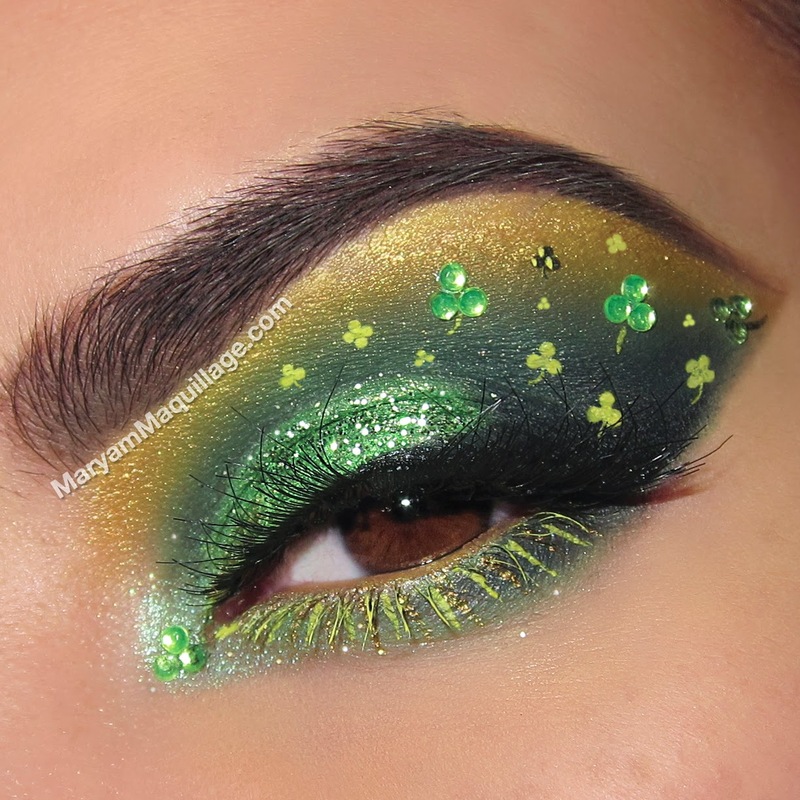 This look was put together using all Motives Cosmetics, as well as our Mavens Palettes, and was inspired by my "Minty Fresh" nail art (which you can observe here). I typically never match my makeup to my nails, but there's just something about Mint that makes me wear it all over and I don't mind coordinating. I also added a dose of edge with some graphic, Arabic-inspired liner and a well-contoured face. If you like this look and are ready to learn how it's done, keep reading for the step-by-step tutorial!! Read more for TUTORIAL, pix & tips! Hello dolls and Happy First Day of Spring!! In NYC, it doesn't quite feel like Spring just yet, but I'm hoping that my enthusiasm will invoke the warm weather gods who will melt away the cold and bring some sun shine our way. Wherever you guys are, I'm sure you're already celebrating in brighter colors, lighter clothes and an uplifted attitude. I'm with you in spirit, and today, I've lined up a fun, flirty Spring-time appropriate makeup look, inspired by my fave jewelry brand, Caviar Noir and its Spring Collection centerpiece: the Rosary Hand Chain in Turquoise. This piece is equal parts feminine, edgy and exotic, therefore it's the perfect muse for today's fresh look! Read more for makeup, hair & style tips for Spring! Hello my beautiful darlings! Spring is almost here and I'm literally counting the days until its official arrival. Today, in eager anticipation, I'm exploring one of my favorite color trends of the season: the blooming shades of pink and purple. Spring is all about new beginnings and the fresh shades of lilac, lavender and blush pink represent this positive change to the fullest. 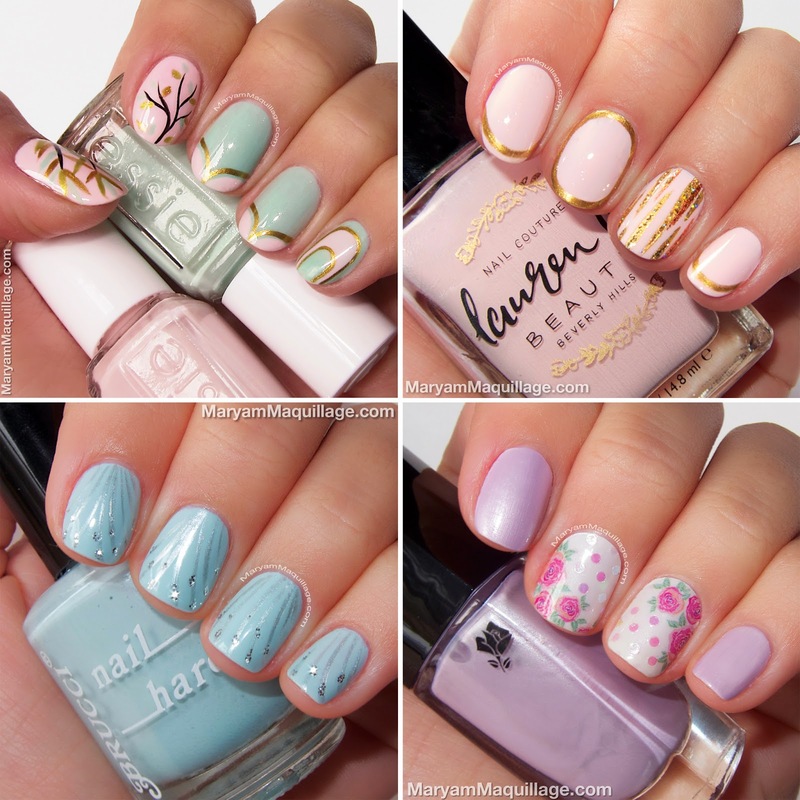 So long winter grays, hello blossoming buds and bright floral accents!!! Read more for deets, pics, fashion ideas, COUPONS & links! Hello my beauties! Happy International Women's Day -- March 8!! How are you celebrating? I hope you're all being pampered and loved on this special day and every day!!! Where has the time gone, my loves? It's already March and I'm just getting started on my Spring Series looks and posts. Today's Classic Black Smokey Eye & Sculpted Face makeup is my wrap up of the winter season and is a perfect look for your dark winter weekend celebrations. I'm using our Motives Mavens palettes and enhancing my skin with Belletto Studio airbrush foundation. Read more for tips, links & tutorial! Hello darlings!! 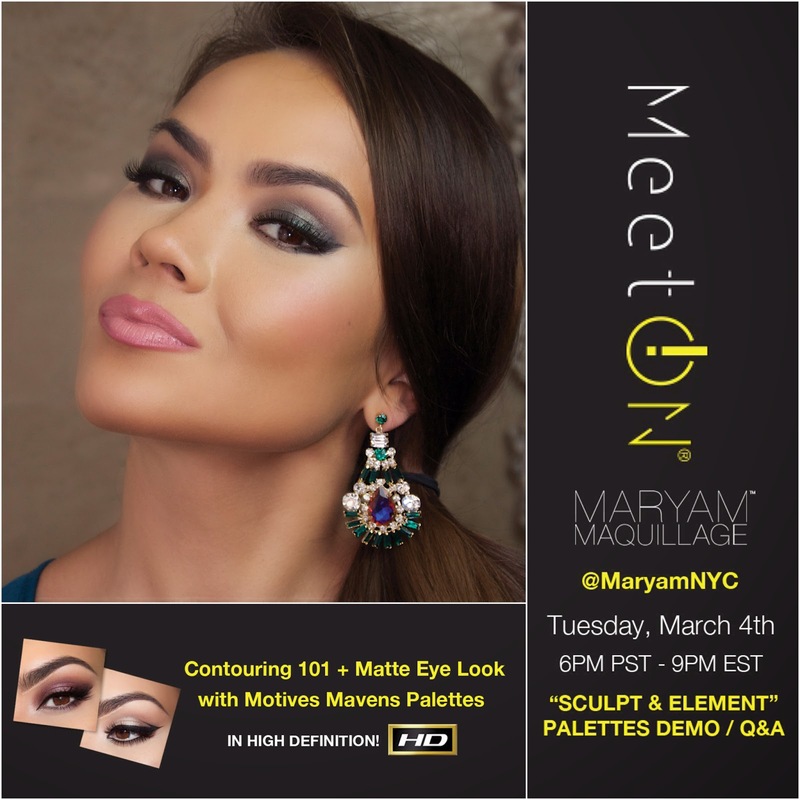 Tonight's the NIGHT -- I'll be doing a free LIVE Stream Tutorial on MeetOn.com teaching my contouring tips and tricks plus a matte eye look using our Motives Mavens Palettes!!! Mark your calendars and set your alarm clocks for 9 PM EST / 6 PM PST, bring your Mavens Palettes and/or your questions so I can address them all LIVE!!! RSVP Here, C U Tonight!! !